All Sound Recorder records all sound from your computer's sound card into MP3, WMA, Wav, OGG files directly! (such as convert ra, ram, rm to mp3), built-in a cool sound effects editor! You can use it to grab any sound, including music, dialogs from movies, game sounds etc. from your local computer or the internet. Captured sounds can be saved in WAV,MP3,WMA or OGG format, using real-time conversion (without creating temporary files). All Sound Recorder offers direct support for RealPlayer, Winamp, Windows Media Player ,Power DVD ,Flash, Quick time and many others. How to record from internet without any pause? All Sound Recorder support sound data active recording mode TM technology, a feature usedl to record sound from internet. Playing sound like RealPlayer or Windows Media Player from internet, it always pause and wait because of the slow internet speed. So you always get a pausual sound recording. But if you use this feature,It will pause recording automatically until playing continues. It helps you to get a continuate sound recording from internet. How to record REAL AUDIO (.ram) to MP3/WAV/WMA/OGG? To save the Real Audio music into MP3/WAV/WMA/OGG, you need only download a player that support REAL AUDIO format, then play it, launch this mp3 sound recorder and save the recording to MP3/WAV/WMA/OGG. How to extract music from movie? On this case, you may play your VCD/DVD with a player then save the sound into MP3/WAV/WMA/OGG with our software. You cannot download any crack or serial number for All Sound Recorder on this page. Every software that you are able to download on our site is legal. There is no crack, serial number, hack or activation key for All Sound Recorder present here. Our collection also doesn't contain any keygens, because keygen programs are being used in illegal ways which we do not support. All software that you can find here is freely downloadable and legal. All Sound Recorder installation package is prepared to be downloaded from our fast download servers. It is checked for possible viruses and is proven to be 100% clean and safe. 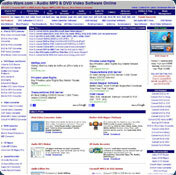 Various leading antiviruses have been used to test All Sound Recorder, if it contains any viruses. No infections have been found and downloading All Sound Recorder is completelly problem free because of that reason. Our experts on malware detection tested All Sound Recorder with various spyware and malware detection programs, including fyxm.net custom malware and spyware detection, and absolutelly no malware or spyware was found in All Sound Recorder. All software that you can find on our servers, including All Sound Recorder, is either freeware, shareware or open-source, some of the software packages are demo, trial or patch versions and if possible (public domain licence), we also host official full versions of software. Because we want to be one of the fastest download sites on the web, we host all the software including All Sound Recorder on our servers. You cannot find here any torrents or download links that would lead you to dangerous sites. Rate All Sound Recorder 1.78!